Extract from The Good Tribe's newsletter The Change Maker. The terms industrialised and developed countries don't exist anymore. 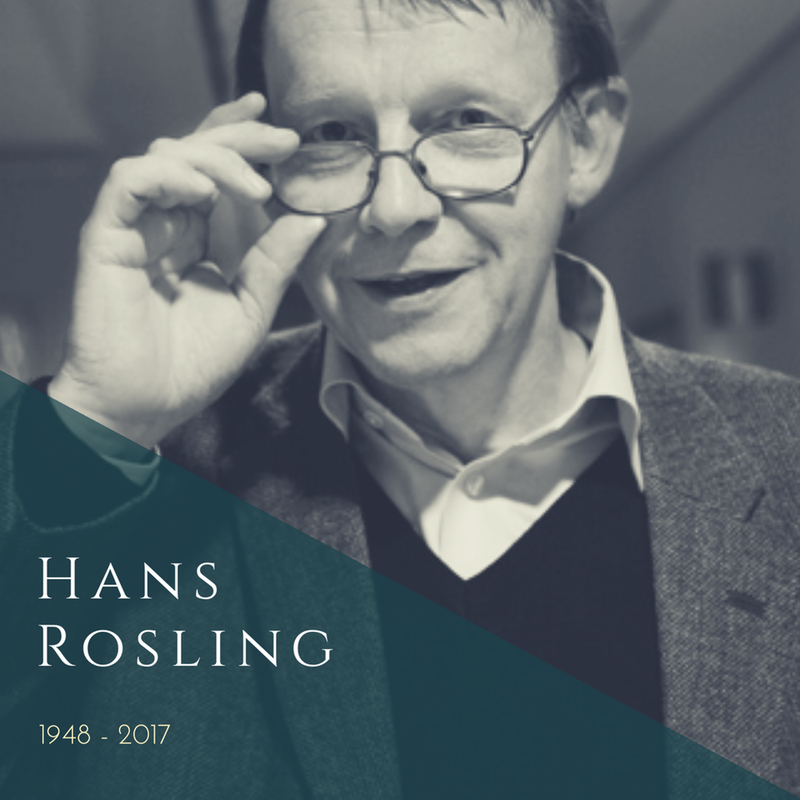 The late statistics professors Hans Rosling is one of the most dedicated and energetic Change Makers I've ever come across. I had the honours of meeting him briefly twice. On one of those occasions I nervously and spontaneously pitched an idea to him. As the through and through academic he was, as I was presenting my idea, he simultaneously started analysing it to his colleague. It made me feel rather perplexed, but also proud that he understood my idea and started advocating for it after just a few moments. I've seen Hans Rosling's talks live and you Youtube and TED several times, but I have to confess that I, up until now, haven't had much knowledge about the foundation he started together with his son Ola Rosling and daughter-in-law Anna Rosling Rönnlund, Gap Minder. Gap Minder's missions is to fight "devastating ignorance with fact-based worldviews everyone can understand". Gap Minder's work is based on research that says that most of us are terribly ignorant about the state of global issues. Just to give you one example. Many of us learnt in school that there are industrialised and developing countries. Right!? NO. Those terms are obsolete. Most countries that in the past were labelled as "developing" have made huge leaps forward and are now on the same (or even more advanced!!) level than the "industrialised" counties in terms of e.g. child mortality, babies per woman, and literacy. The world is a complex place and we need to stay on top of the facts in order to avoid spreading rumours, prejudice and plain racism. Of course there are many big global issues left to solve, but it's easy to forget how much progress we're making. With the drama and urgency of a sportscaster, statistics guru Hans Rosling uses an amazing new presentation tool, Gapminder, to present data that debunks several myths about world development. Rosling is professor of international health at Sweden's Karolinska Institute, and founder of Gapminder, a nonprofit that brings vital global data to life. Here's a question: What is the Life expectancy of the world population? Did you get it right?! Awesome! For more information, head on over to Gap Minder. Make sure to check out their fun moving graphs, lesson plans, The Dollar Street project and much much more. Hans Rosling died earlier this year. Rest in Power, Hans. Want more of The Change Maker? Subscribe here.